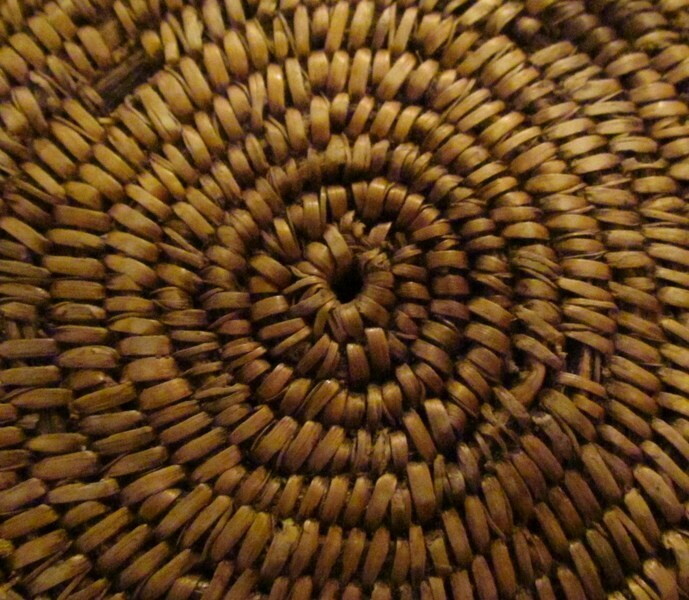 A Navajo ceremonial basket coiled in a counter-clockwise direction. 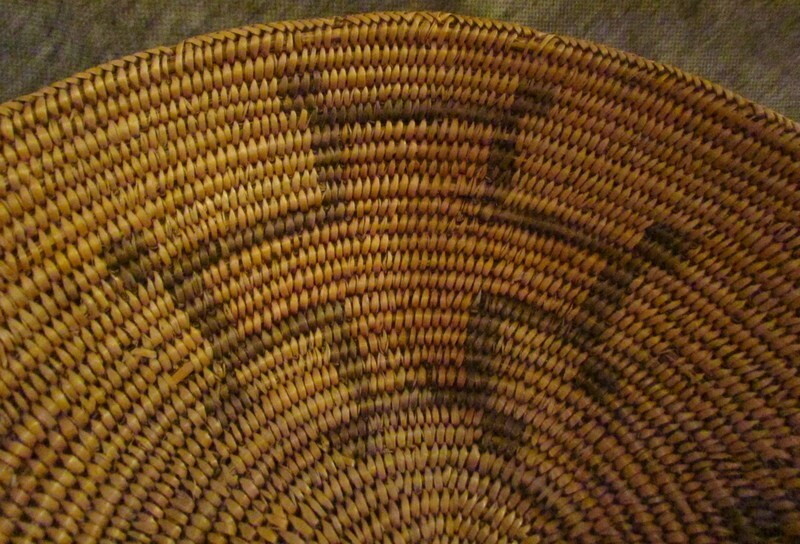 The rim is finished in herringbone weave and has a trilateral design. 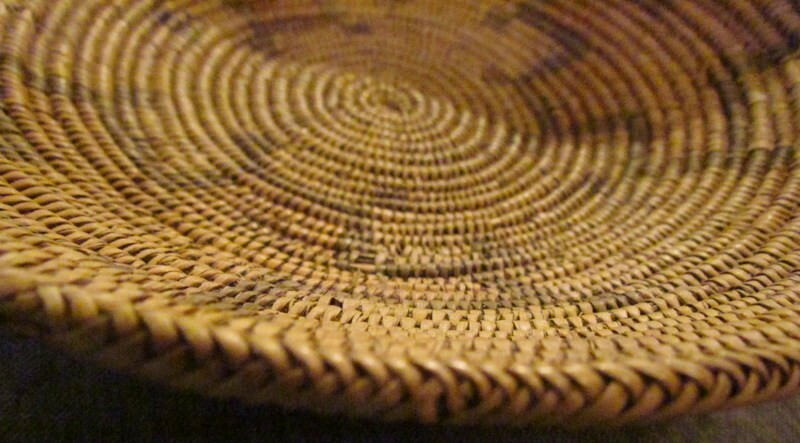 Each design element consists of a brown cross outlined in black with black dot at each outer corner. 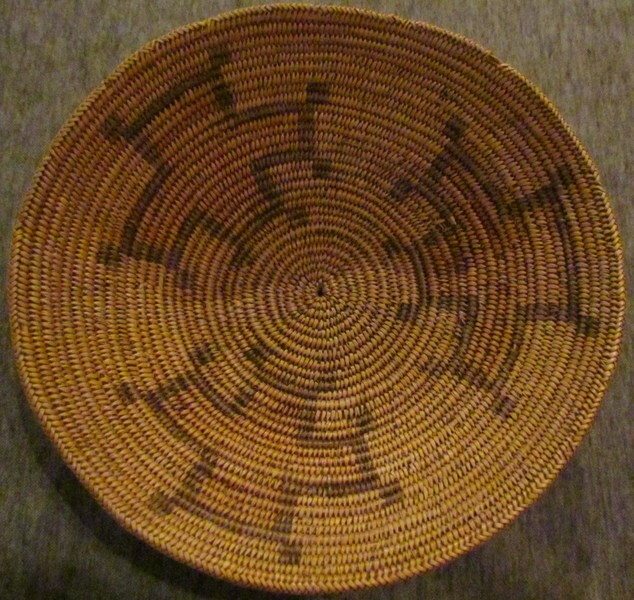 This particular ceremonial basket’s origins are unknown but the brown crosses signify Spider Woman, an important female deity within the Navajo culture.